When ever there is trouble the PAW Patrol pups will be there to save the day! 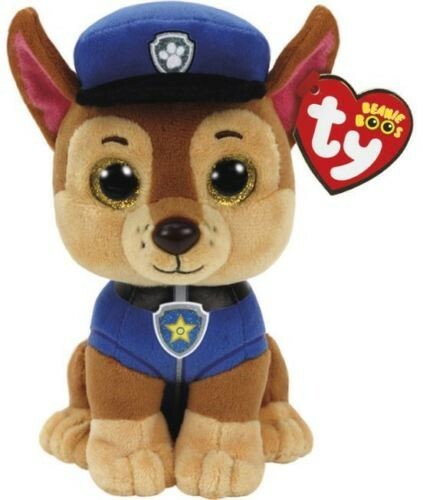 The brand new Paw Patrol collection by TY Beanie is super cute ! Collect all your favourite Paw Patrol characters with the new Ty Paw Patrol Plush! Chase Plush by TY Approximately 16 cm in height . Look for the familiar heart shaped tag that means you've purchased an authentic Ty product.